As the hardwishing staff noted last week, we – along with countless other schlubs – petitioned the Prom Queen of Social Media for an invitation to join her posse. What we got back was this pat on the head. So we waited. And waited. 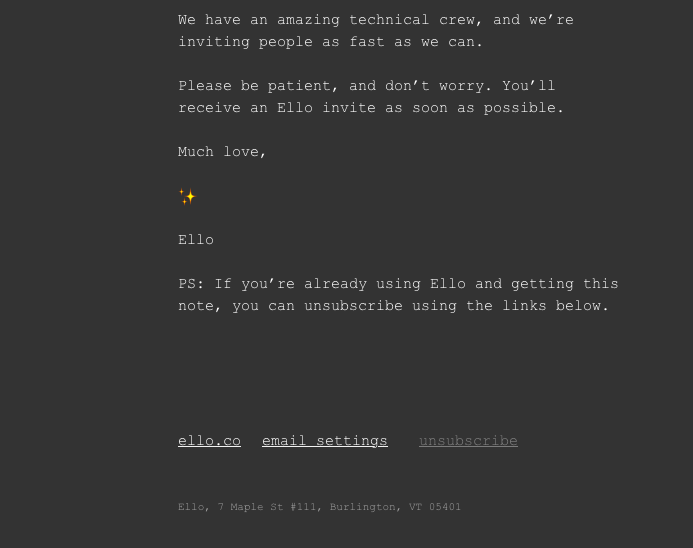 And finally got this tease-tease-me message several days ago. Uh-huh. 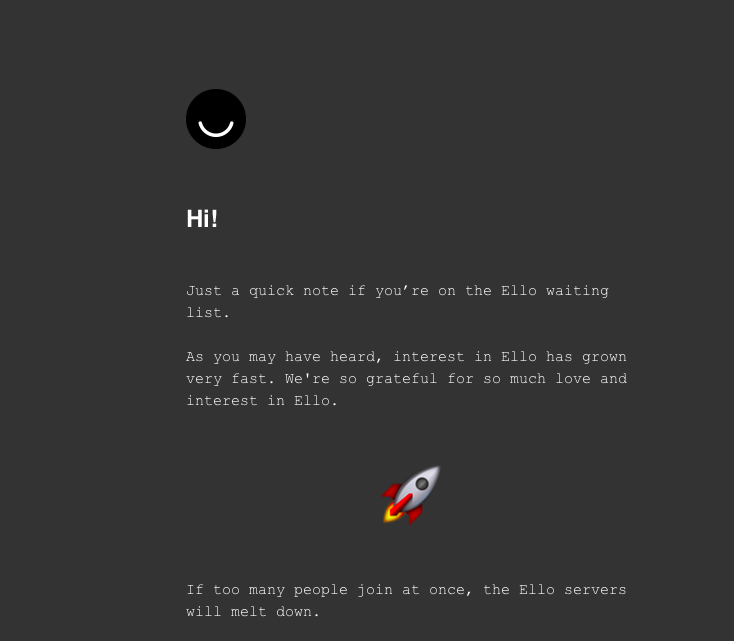 Well here’s our message back to Ello. 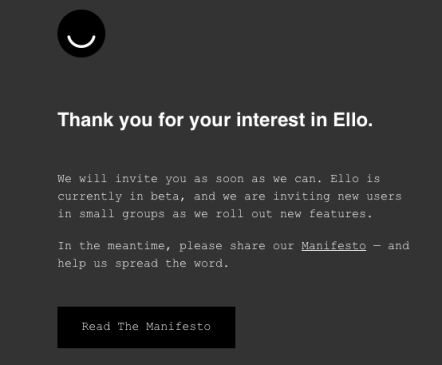 This entry was posted in Uncategorized and tagged Ello, Prom Queen of Social Media, The Supremes, Vanilla Fudge, You Keep Me Hangin' On. Bookmark the permalink.